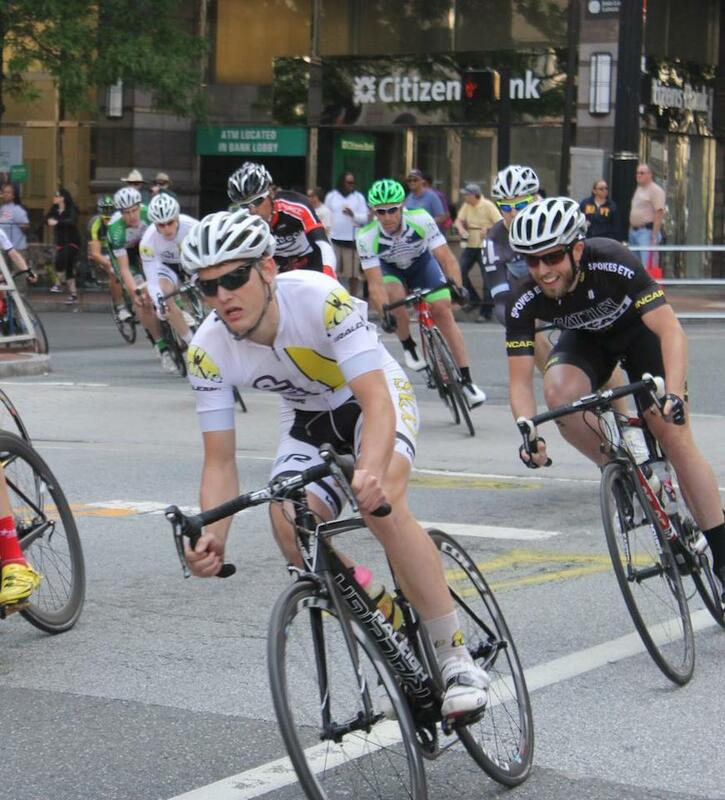 The CCAP team headed to Wilmington, DE to take on the Bank of America Wilmington Grand Prix this past weekend. As part of USA Cycling’s National Criterium Calendar, the event draws the best professional and amateur cyclists in the USA to its fast and furious 35-mile, eight-corner course. The CAT 2 race was up first for CCAP riders Derek Cote, Connor Walsh, and Brian Suto. The race announcer set the precedent for these three young riders by calling them and their fantastic Raleigh Militis 3’s out upon arrival. Cote answered the call with an exciting and daring solo attack in the final five laps of the race that earned him 5th place! Later in the afternoon, CCAP riders John Harris and David Hoyle lined up for the Men’s Elite Pro/1 race. The race was single file from the start and it never changed shape. The 120-man field stretched the entire length of Market St in the early laps before the high pace slowly started to discard riders off the back of the group. By the end of the race only 57 riders crossed the finish line. Harris and Hoyle maintained position well throughout the race and held on to the front of the main field for respectable results. Their Militis 3’s were exceptional in the tight, fast race and proved that a great bike does make a difference!